Sometimes, you want something a little more casual from your limousine service. You don’t need the party bus or the 8-person stretch limousine. Instead, you’re looking for something that can take you and an intimate party to something as simple as a round of golf. That’s what you can expect if you were to opt for the Lincoln Navigator SUV Limousine Service when choosing from our limousine fleet. But there’s more to this unique luxury vehicle than just a leisurely ride—as you’ll find out, it might just be the ideal vehicle for your next party. 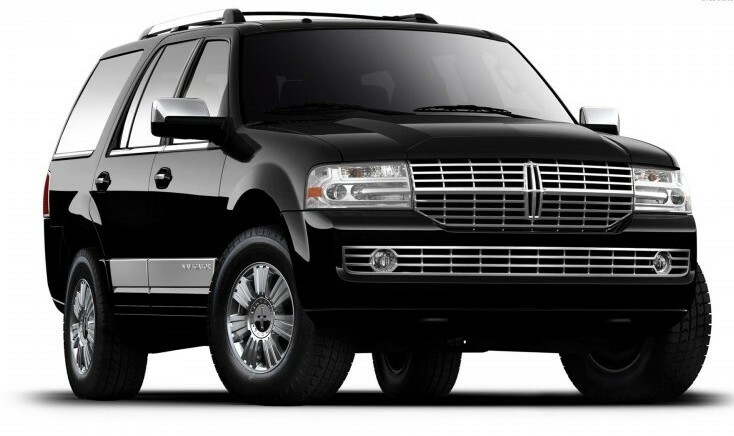 The most obvious difference between our Lincoln Navigator SUV and the other luxury vehicles you might see in our fleet? In a word, space. Space isn’t only important for leg room and comfort—it’s important for getting stuff around. That includes everything from golf bags to airport luggage—and then some. If your limousine service comes with a “mission” at the end—even if that mission is as fun as a round of golf—you might want to opt for the Lincoln Navigator SUV. Sometimes, a nice quite ride in a luxury sedan is a perfect option. If you’re traveling alone, you’ll have plenty of room to get some work done or simply sit back, relax, and enjoy the ride. But sometimes, you just need a lot of space. Whether you’re filling that space with luggage, golf clubs, party supplies, or anything else you can think of, it’s better to opt for the SUV if you’re towing a lot of cargo. Many people even find that these SUVs are perfect for moving people around from the wedding to the reception—at a capacity of up to 5 passengers, it won’t be suitable for a large wedding party, but it can help make life easier on anyone else associated with the wedding that needs to get around. The key to enjoying your time in an SUV? Make full use of the space. Enjoy it. If you’re going to go on an extended trip, for example, then don’t pack the family into a small sedan—keep them in an SUV so that they don’t go stir-crazy. This is ideal for sightseeing tours in which you need to get around a lot but still need plenty of things to do in the interim. Being cramped into a small 2-3 passenger vehicle isn’t ideal for larger families that truly need the additional wiggle room. Does the Lincoln Nav SUV sound right for you? Then contact Marquee Limo and let us know when you might need to reserve one for your next trip, party, outing, and more.